As a blogger and social media influencer I feel like I am in front of a screen a lot! As a matter of fact, too much! It seems to grab me and pull me in, even when I am technically not working. There seems to always be something needing to be done, something to respond to, more catching up to do. And during the course of working, things grab my attention and I spend time just wasting it! And wow....for one who remembers the days when talking on the phone was the only social media and it meant stretching the phone cord into my room and shutting the door, talking for hours---well, things have really changed! My husband is the same way. He comes from a family who was really into card games like Rook, Cribbage, and played Backgammon as well. They would have big family gatherings where everyone would play Rook into the wee hours of the morning. Things got really competitive and it was loads of fun. He has very fond memories. Now, none of his siblings really like to play because they are all hooked to their phones, playing their games online. What he has noticed is there is so much less interaction between everyone. Whereas people used to take the time to send birthday cards or call on the phone, now it is limited to a Facebook post saying "Happy Birthday" or a quick birthday text over the phone. Recently we took the time to go back to how things were back in the day. We went off grid for awhile, got out the board games and started playing some of the games we used to play and tried out a few new ones. We talked and joked more than we have done in quite awhile, it seems. It felt good to be doing something other than being in front of the screens. We laughed so much! Maybe that's why I felt so content afterwards, because laughing releases endorphins! I know that my sons love getting together to play different board games, especially during holidays where they don't have to rush around and meet deadlines. 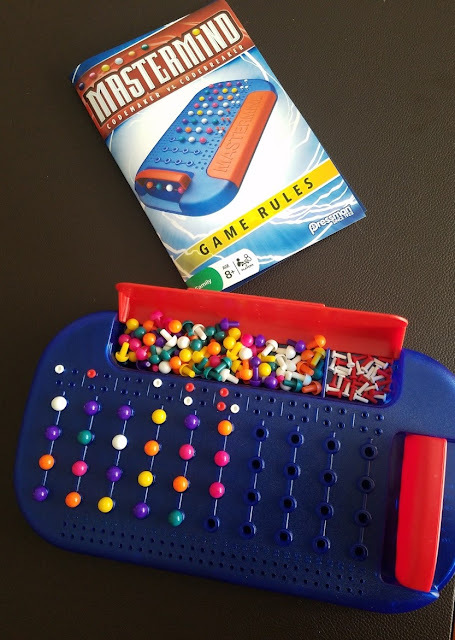 Summertime is also perfect for playing board games, when school is out! Did you know that playing board games reduces the risk of cognitive decline? It keeps your mind active, exercising it and keeping it active. It's a great way to prevent Alzheimers or Dementia. After all, a stronger brain has a lower risk of losing its power! Do you recognize any of these classics? Playing board games helps younger children develop important cognitive skills such as reasoning, critical thinking and spatial skills. 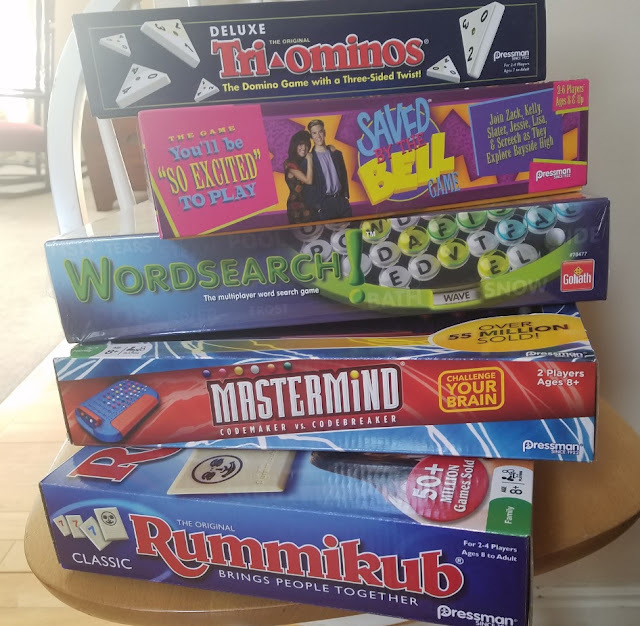 I feel that gathering the kids around to play a board game can help them so much with real life skills--socializing, reasoning, strategic moves, verbal expression and humor! None of these skills can be learned in front of a screen and they are really essential in a world of bullying and fierce competition among peers. Some games were received for review purposes! Affiliate and non-affiliate links are in use! Thanks for your support! We have been trying a couple of new games that I hadn't played before and I love it! We love Pressman Toys/Goliath Games because their selection is so huge! They have been around since 1922 and I'm so glad that I've been able to partner with them and tell you about some of their great games! Many of them have been around for years and millions and millions have been sold. Others are newer, like 'Save The Bell', but are just as fun and engaging as those that have stood the test of time! MasterMind is so much fun to play! It tests your decoding skills, both solving and relaying. I absolutely loved challenging my mind in that way! 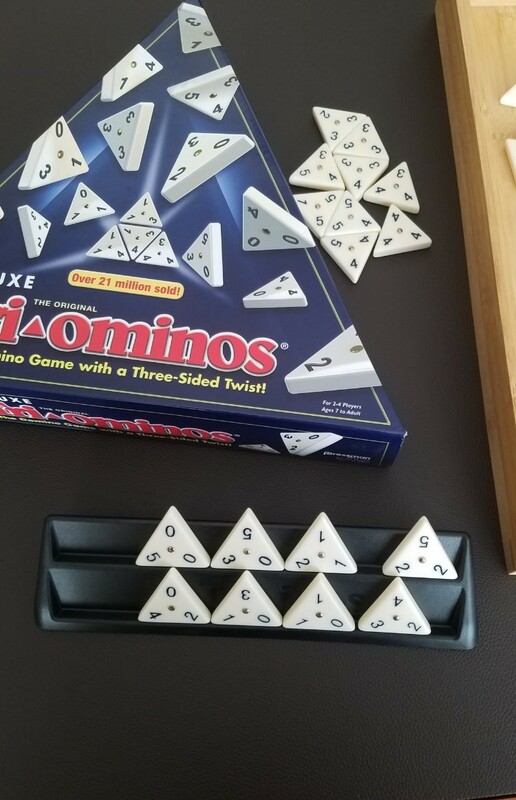 Tri-ominos can take hours or days to play if you want to be the first to get to a score of 200. But the nice thing is that you can leave it and start right back up where you left off. It's very easy to play in increments. So much fun! WordSearch is so much more fun when played with others! I loved playing it and it's challenging and eye-opening to see how many words are at your fingertips! 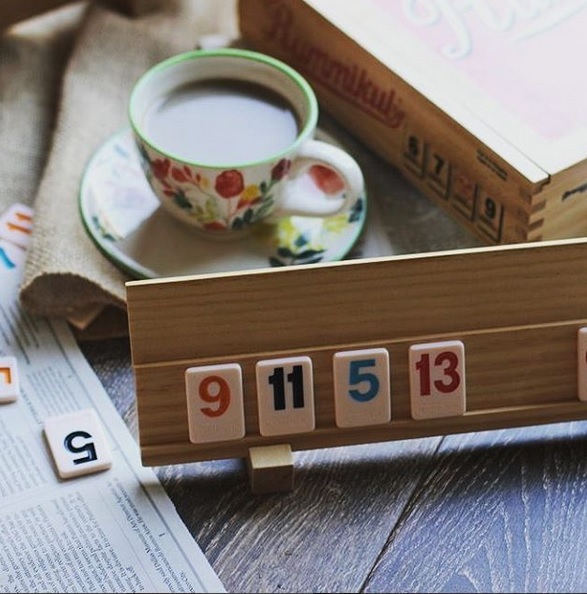 Rummikub has been around for a very long time and one of the most popular games of all-time, having all the elements of a good game: easy to learn, fast-moving and different every time it's played. It combines luck and strategy and changes quickly so every player has a chance to win until the very end! It's also ideal for a wide range of ages--from kids to parents to grandparents! It was originally played as a card game, and still is, but was developed into a board game and is universally loved! I think the best thing about playing board games is the family memories it creates and the closeness you develop with those you play with! You find out a lot about a person when you play board games with them! I am so excited to partner up with Pressman Toys/Goliath Games and offer one extremely lucky winner a chance to win a Collector's Retro Rummikub Tin Edition! These days Rummikub is made standard of high-quality and durable polyurethane! So the tin edition is very collectible for sure! But any way it's made, the fun is the same! Enter for a chance to win the Collector's Retro Rummikub Tin Edition in the Rafflecopter below! There is one mandatory entry and the remaining entries are optional! Giveaway open to U.S. and Canada, one entrant per household, must be 21+ to enter! Good luck to everyone! after 05/05/18. Must respond within 48 hours. Sponsor, 'Pressman Toy', is responsible for delivery of prize package.